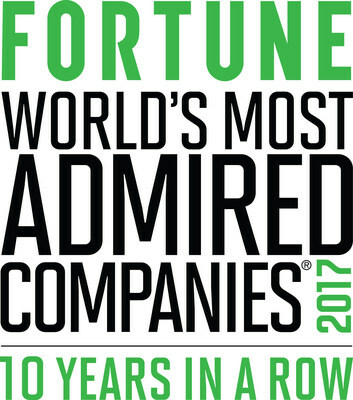 DENVER, March 7, 2017 /PRNewswire/ -- DaVita Inc. (NYSE: DVA), a leading independent medical group and a leading provider of kidney care services in the United States, today announced has been recognized as one of FORTUNE Magazine's World's Most Admired Companies in 2017. This is the 10th consecutive year and 11th year overall the company has appeared on the list. First appearance of licensed trademarks in all licensed uses must be followed immediately by the ® symbol for registered trademarks. Licensed trademarks must appear with a conspicuous trademark notice as follows: "FORTUNE and The World's Most Admired Companies are registered trademarks of Time Inc. and are used under license." From FORTUNE Magazine, March 1, 2017 ©2017 Time Inc. Used under license. FORTUNE and Time Inc. are not affiliated with, and do not endorse products or services of, Licensee.